Home > Dining Coupons > Macaroni Grill: Buy One Get One Free! Macaroni Grill: Buy One Get One Free! Lunch or dinner is at Macaroni Grill through tomorrow! 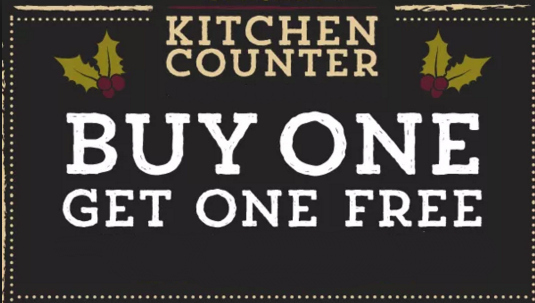 Right now if you Buy 1 Romano’s Kitchen Counter Lunch or Dinner Entree you get 1 FREE. To redeem all you have to do is print out the coupon or pull it up on your mobile device. This is a great way to take your favorite person out for a fun date night and spend less. You can save even more when you go online and join their email club. It is free to sign up and you get $5 off your next visit! There are so many good entrees to choose from you can’t go wrong. My favorite is the Lobster Ravioli! This deal is valid through tomorrow, 1/14.